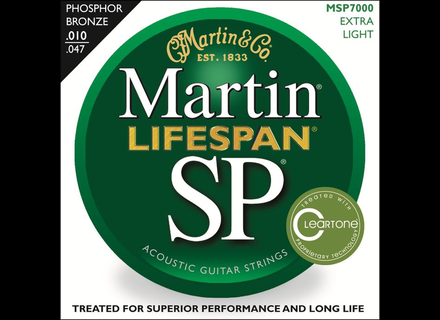 SP Lifespan 92/8 Phosphor Bronze MSP7000 Extra Light 10-47, Guitar String from Martin & Co belonging to the SP Lifespan 92/8 Phosphor Bronze model. C.F. Martin & Co.has announced that it is expanding its successful Martin SP Lifespan line of acoustic strings. “The Great Martin String Challenge” will take place at the Martin Summer NAMM booth (#1200) and select retailer locations this year. After being handed identical Martin guitars – one with SP Lifespan strings and one without – contestants who correctly determine which was equipped with the SP Lifespan strings will win a free set along with additional prizes. “The Great Martin String Swap” will take place at select retailers this summer and fall, during which anyone bringing in their old strings will be provided with a complimentary set of new Martin SP Lifespan strings (while supplies last). SP Lifespan Extra Light Gauge 10-47 Bronze (41MSP6000) and SP Lifespan Extra Light Gauge 10-47 Phosphor Bronze (41MSP7000) – For smaller body guitars and cutaways, a new extra light gauge will be available in phosphor bronze or 80/20 bronze. SP Lifespan Extra Light 12 String 10-47 Phosphor Bronze (41MSP7600) – Both plain and wound strings are treated with Cleartone technology. 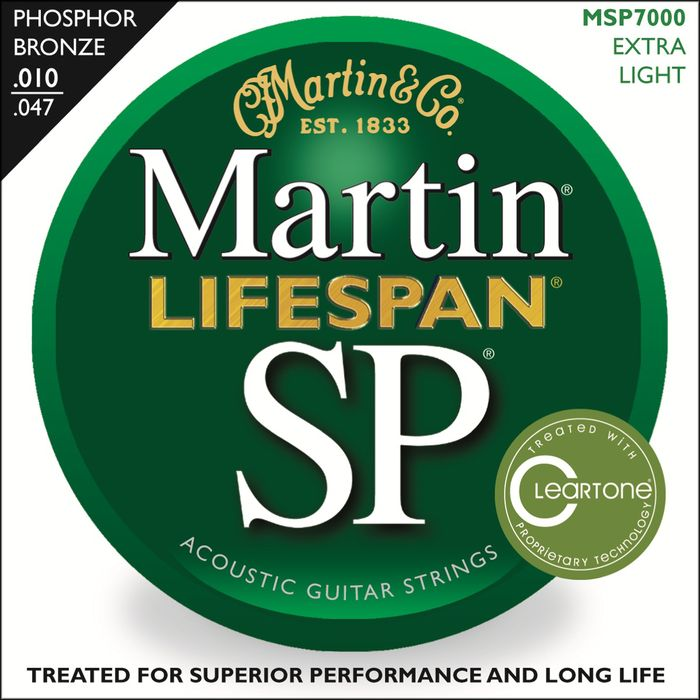 SP Lifespan Baritone 14-17 Phosphor Bronze (41MSP7700) – With the recent and upcoming launch of several new C. F. Martin baritone guitars, Martin has designed these strings to be comfortable in both the traditional B tuning and modern C tuning. Gauging is 14/20/30/42/54/70. Visit www.martinguitar.com for more details. 3rd Power AB Channel Selector 3rd Power's AB Channel Selector hand-wired pedal is designed to give guitarists a way to switch between two output paths from one input source.